On Feb. 24, the 91st Academy Awards will take place, recognizing the best films of last year. The nominees were all announced on Jan. 22, allowing creative film lovers plenty of time to predict who’s going to win what award. In 2018, I’ve gone to the movies more than 130 times, so I have a fairly solid understanding of what’s good and bad in the world of film and decided to do my own prediction series. Out of all the great movies that came out in 2018, the one I see stealing the show award season is BlacKkKlansman. The Spike Lee directed film which stars John David Washington, Adam Driver, and Topher Grace received six nominations, including Best Picture and Best Director. I see the film winning five of them. On its own, it sounds like an impossible achievement, winning five awards, but it’s been done a total of 64 times. The most recent film to win at least five awards was Mad Max: Fury Road, in 2015. Other films I see winning multiple awards include Mary Poppins Returns, A Star is Born, Vice, and Isle of Dogs. Here are my predictions for 20 of the Academy Awards biggest categories. This is just the second time that Melissa McCarthy was nominated for an Oscar. Her last nomination was in 2012 for Bridesmaids but lost to Octavia Spencer. Rami Malek and Adam Driver are both first-time nominees this year while Amy Adams was nominated five times, missing out each time. If Isle of Dogs wins Best Original Score, it would be Alexandre Desplat’s third Oscar win in five years. He won in 2015 for The Grand Budapest Hotel and again in 2018 for The Shape of Water. His first Oscar nomination was in 2007 and has since been nominated for Best Original Score a total of ten times. 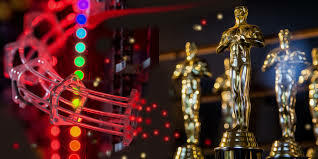 Now that we took a look at all the movies that might win, it’s time to take a look at those films and actors that were not nominated but really deserved to be. These are known as snubs. The following films did not receive a nomination but were really powerful, emotional, unique, or flat out beautiful. In less than a week, we will see what the Academy has to say about the films that were nominated.